A poor showing in last year's tournament saw Ireland placed in a tricky group this year, with the draw based on the previous season's performance. 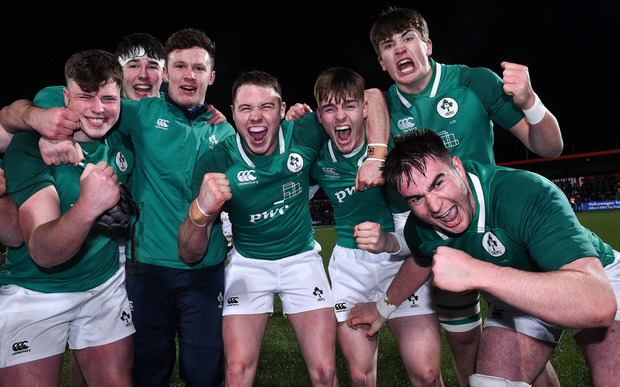 Noel McNamara's side, who currently lead the U20 Six Nations table with three wins from three, will open their campaign against England on Tuesday June 4, before facing Australia on Saturday June 8. They will round out their group with a game against Italy on Wednesday June 12. All three games will be held in Santa Fe in Argentina. Ireland have already claimed impressive wins against England, Scotland and Italy in this year's Six Nations, and can seal a Grand Slam if they beat France and Wales in their final two fixtures.